Artisanal and small-scale mining producers are a critical part of the jewellery supply chain for gold and diamonds – both in terms of livelihoods and development opportunities, as well as the need to manage key risks. RJC is partnering with two leading organisations – the Alliance for Responsible Mining (ARM) and the Diamond Development Initiative (DDI) – on standards harmonisation, collaboration, fund-raising and awareness-raising about the ASM sector. The Alliance for Responsible Mining (ARM) and the Responsible Jewellery Council (RJC) renew their Memorandum of Understanding (MOU) to strengthen their collaboration in promoting and facilitating responsible jewellery supply chains. ARM and RJC share objectives to promote responsible precious metals supply chains, and will continue working together to ensure their standards and assurance models are mutually supportive. 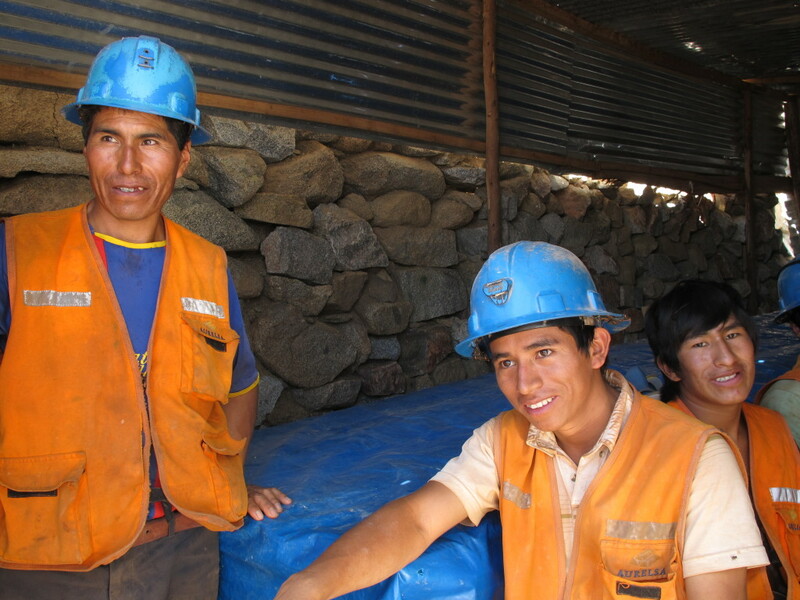 increase market access for precious metals from responsible artisanal and small-scale mining. ARM and RJC see exciting opportunities for a wider inclusion of the ASM sector in responsible global supply chains, and will jointly work with multiple stakeholders to make it happen. In response to the industry’s demand for harmonisation of standards and reduction of audit burden, the RJC and the Alliance for Responsible Mining (ARM) piloted the first combined Fairmined and Chain of Custody (CoC) audit in October 2016 with Swiss based refiner Metalor Technologies SA. Metalor Technologies SA has been a RJC member since 2006 and a Fairmined Supplier since 2014. To facilitate the delivery of the combined audit, the RJC and ARM collaborated to increase the number of audit companies who are accredited to deliver both types of audits, updated ARMs workbook to align with RJC’s CoC self-assessment workbook to enhance harmonisation and summarised the shared requirements of the two standards as a tool for the auditor to streamline the auditing process. The combined audit, conducted by UL Responsible Sourcing, was a success as it enabled Metalor Technologies SA to schedule all the audit activities during one period, thus reducing audit burden in terms of time and costs and decreasing disruption to normal business activities. This was particularly important for some of their departments, such as sales, where employees are not office- based and travel frequently. Efficiencies in the auditing process were realised, as the auditors could verify compliance with the requirements of the two standards by conducting one site tour and a single interview session and document review with relevant departments. The combined audit resulted in reduced audit costs compared with conducting two separate audits, resulting in travel and expenses reduced by 50%. In 2016, Diamond Development Initiative (DDI) and RJC renewed their their Memorandum of Understanding (MOU) to further their collaboration to advance their shared objectives of improving social, environmental, labour practices and good governance in the diamond and jewellery continuous supply chain, each in their respective sector. DDI and RJC have committed to collaborate to enhance relationships between the jewellery supply chain and artisanal diamond mining. Under the MoU, DDI and RJC will collaborate to ensure their standards and modalities of their respective activities are mutually supportive, through participation in their respective governance committees – DDI’s Advisory Group and RJC’s Standards Committee. This toolkit is designed to help miners, civil society organisations and government agencies and experts in labour and human rights identify and deal with forced labour in Artisanal and Small-scale Mining (ASM). It follows 18 months of research and field-testing by Solidaridad and ARM. Humanity United, a U.S.-based foundation dedicated to building peace and advancing human freedom, provided financial support. The toolkit will be made available for anyone to download, free of charge, from the websites of Solidaridad and ARM. Solidaridad and ARM devised the toolkit to fill an information gap within the industry. It includes practical tools such as criteria for good practice in ASM mining, guides and checklists for potential human rights abuses. Managers of companies buying gold will also be able to use it to check the source of their imported wares and understand the risks of human rights abuses.